There are many different types of vehicles in the industry to suit consumer demands, whether that be for comfort, luxury, functionality, style, spirited driving etc. Some of these vehicles are very focused at what they are designed to do and hence, they do it well. Finding a car that appeals to multiple focuses is difficult to do, designing a car for comfort and luxury means it probably won’t be able to handle so well for example. However modern cars are pushing the boundaries of what is technologically possible. Every once in a while manufacturers come up with a unique product, a high-performance power house, a luxury cocoon, a machine that doesn’t compromise luxury for performance. A car that understands the delicate balance between all modes of driving for all types of people. 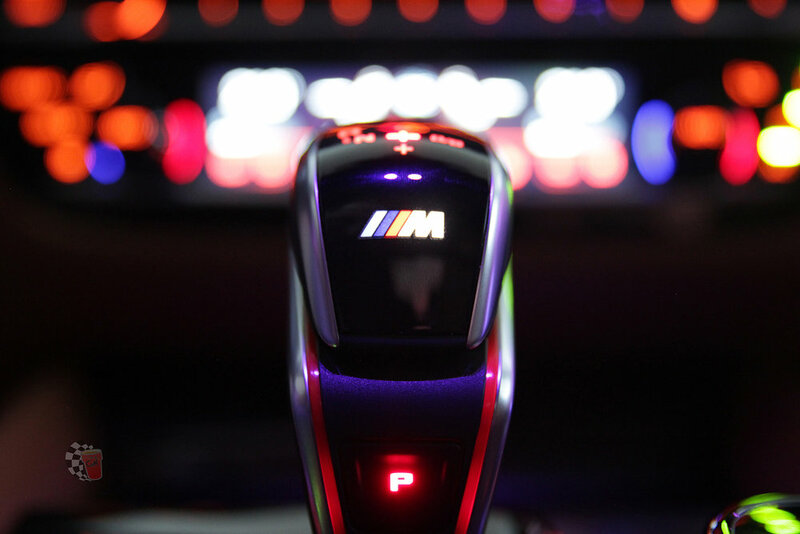 And that is exactly what the latest generation BMW F90 M5 is. Amongst ourselves we came to a conclusive agreement that we could not remember the last time that we all unanimously agreed to a car being this breathtakingly good. 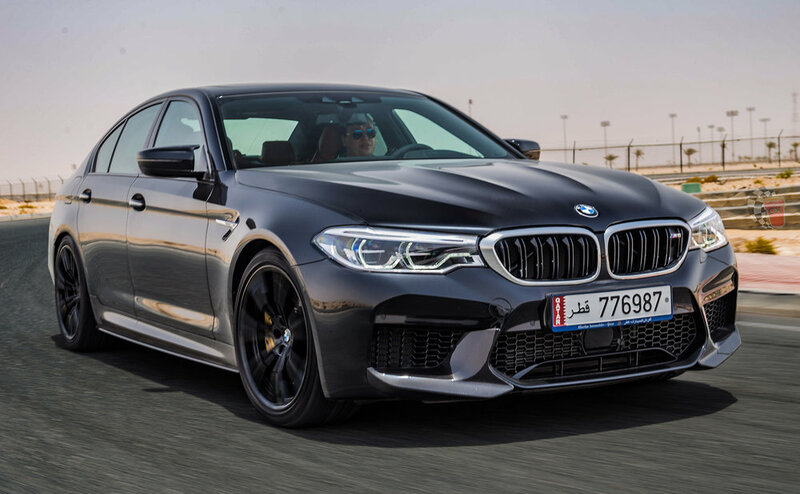 We dare to say that in the last 3 years of car reviews and test drives, this BMW M5 was by far the best luxury sport sedan we have tested to date. 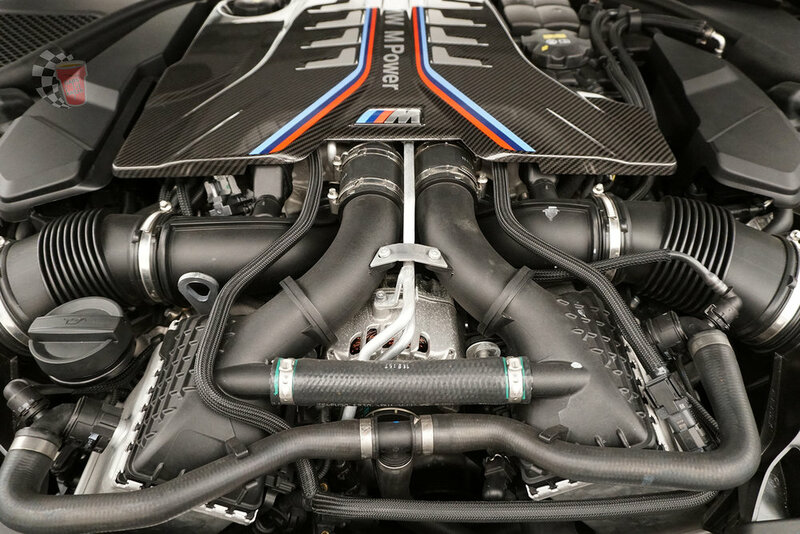 With a 4.4 liter twin-turbo V8 pushing out 600HP and 553 pound-feet of torque (625HP with performance package), this is a seriously quick car. Couple this with a quick shifting precise 8-speed (not the M5 F10 DCT) and a 4WD drivetrain; the result is an insane 0-100kph time of 3.4 seconds. These figures are enough to even step on the toes of many supercars out there. Still not convinced? Take a look for yourselves. The Aston Martin DB11, McLaren 540C, Ferrari California and Lexus LFA are all great examples in the supercar industry that get your adrenaline pumping when mentioned. Yet, they all have 0-100kph times that range between 3.5 - 3.9 seconds; almost half a second slower than the BMW M5 in some cases. And don’t forget, the M5 can do this and still carry 4 passengers and a set of golf clubs. With 600 HP the 4WD system is needed to help get the power down and catapult you off the start in a drag race. But BMW DNA has alway been about RWD, the motoring purists choice. Well good news, the M5 offers 2 driving modes, at the press of a button the M5 can switch to RWD only, and as you can imagine you have got yourself one hell of a drift car. The 4WD mode perfectly distributes the power to all 4 wheels for drivers who want sensational grip and instant take off. It gives a solid driving experience with a multitude of driver aids helping you get around corners effortlessly. The set up is also perfect for everyday commuting and any kind of weather. However if smoking tyres and tail-happy power slides is how you roll, then all it takes is the flip of a switch. Turn off all the driver aids and the M5 all of a sudden is a RWD beast sending all of those 600 ponies to the rear wheels, giving a much more raw driving experience with full control of the car. While the M5’s performance numbers are off the charts, let us not forget that it is also a luxury saloon with advanced technology and countless little touches of unique gizmos and detail statements distributed around in the cabin. There are the 3 suspension settings where drivers can choose between; comfort, sport and sport+. 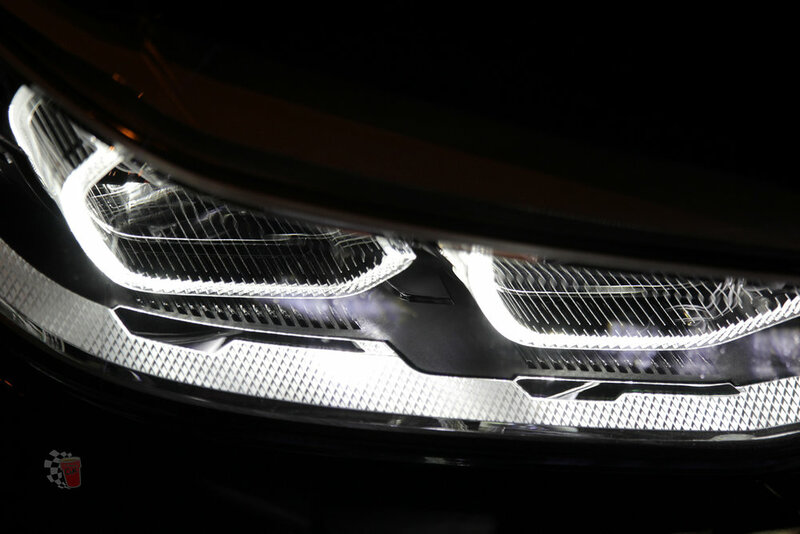 While underneath it doesn't feel like it is ready to do anything sporty, you feel as though your cruising in a 7 series, the M5 can adjust its suspension to fit your driving situation and needs. The seats are an upgrade from the already amazing seats of the previous generation M5. They have been redesigned and refined with more adjustments, wrapped in a visually appealing orange leather with black stripes running down the center in our car, a bold illuminated M-badge just under the head rest as well as heating, cooling and a massage functions. The interior of the M5 is a technological marvel. For starters there are gesture controls for the volume, changing folders, answering calls and even rotating the camera view of the crystal clear 360 camera with night vision. 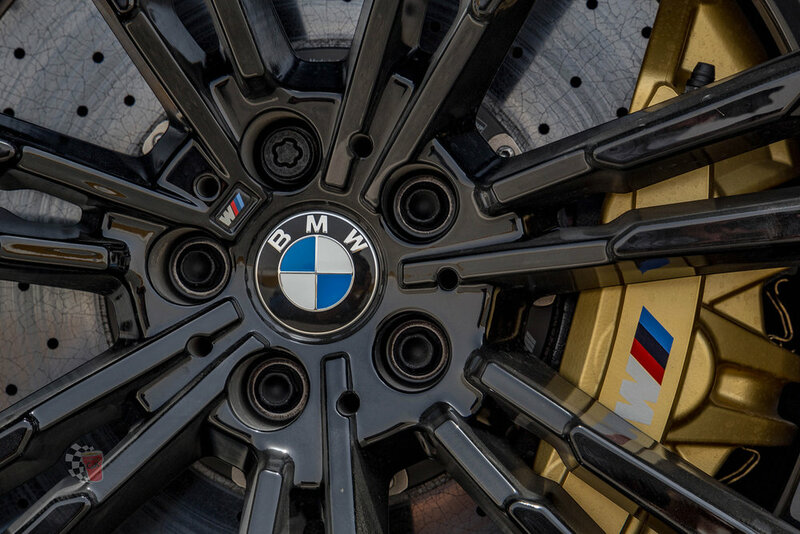 The BMW i-drive system is more responsive than ever before. Two screens in the rear keep the rear passengers entertained and the Bowers and Wilkins sound system has crisp audio. 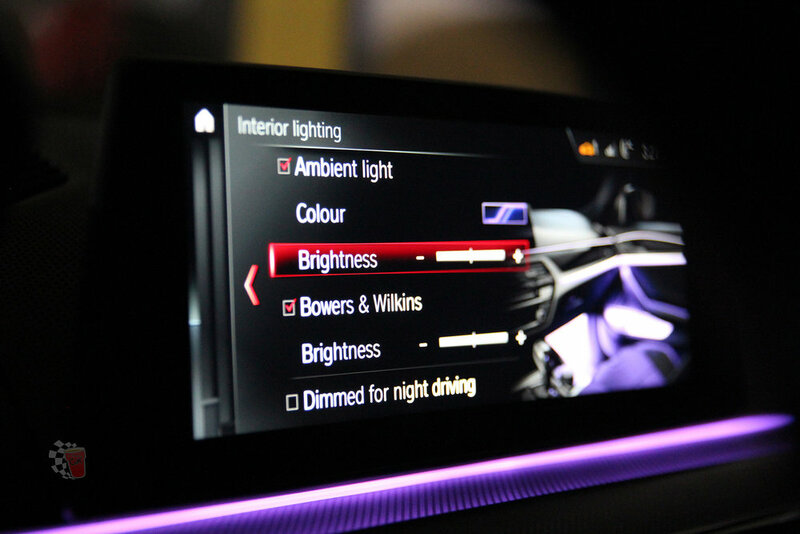 The interior ambient mood lighting make the cabin of the M5 the perfect place to be, especially on those long drives. All in all the 2018 BMW F90 M5 is an extraordinary machine. It has the performance capabilities and unparalleled luxury that are unrivaled with the competition. It’s a crowd pleaser that ticks all the boxes for almost everyone. It is essentially three cars in one, a smooth comfortable tech filled executive saloon, that has the capabilities of a smaller more focused sports car and quality and luxury of a high end limo. In conclusion, we think it's safe to say that the M5 is one of the best cars of the moment.